This week, Jason & Gabe take a deep look at one of the greatest mysteries of Star Wars, The Whills. Though they have been almost in Star Wars since George Lucas' first drafts, the name Whiils been spoken about on screen until Rogue One. 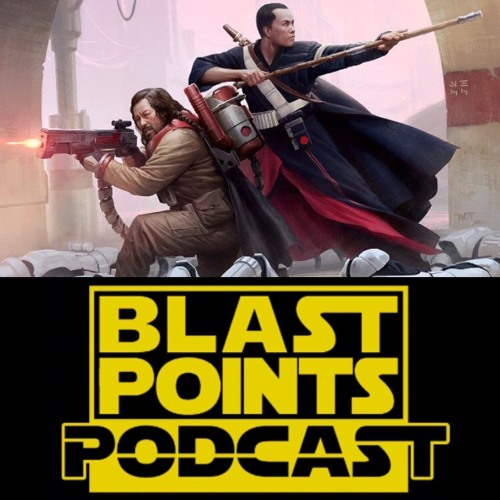 Blast Points goes in depth with their history, possible meanings and theories on what they may have to do with the saga's future.... Before that there's some news on if Woody Harrelson is playing a certain character, a blurry look at Episode 8 Christmas ornaments, an emergency broadcast on breaking news, and the story group talking Rogue One secrets! So learn the great gift, celebrate the love and listen today! visit the Blast Points website! blastpointspodcast.com reviews! articles and tons more! if you dug the show please leave BLAST POINTS a review on iTunes and share the show with friends! If you leave an iTunes review, i will read it on a future episode! honestly! talk to Blast Points on twitter at @blast_points leave feedback, comments or ideas for shows! also like Blast Points on Facebook for news on upcoming shows and links to some of the stuff we talk about in the show!! we are also on Instagram! Wow! your hosts are Jason Gibner & Gabe Bott! contact Jason at Gibnerd@hotmail.com Chirrut and Baze art by Darren Tan May the Force be with you, always. @user-569109249: thank you for listening & the awesome support!! !